One of the most effective and beneficial activities anyone in recovery can engage in is an act of service. There are a number of benefits to helping others while in recovery. Helping others can help boost one’s general sense of well being and has been tied to having a better self image. 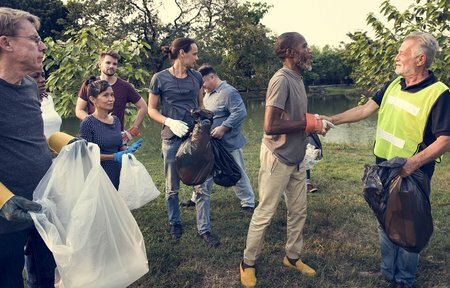 Engaging in acts of service is also a great way to stay focused on the things that one is grateful for, because it means spending times with others who are less fortunate. Here are five tips on how to give back to those in recovery. It also is an exercise in willingness to be a part of, and contribute to your own sobriety as others have done for you. As anyone who has been through recovery knows, one of the best assets that any recovering addict can have is a friend who can be a good listener and act as a supportive ear as problems and challenges arise. If you are involved in a twelve step program, make it known to those in your social circle that you are always available to listen. You never know if anyone is having a hard time with something in particular or is just feeling lonely or anxious. If you notice someone who is down, ask them what is going on, and show interest in what they are dealing with. Helping another person can be as simple as listening to their daily struggles. Most twelve step meetings need volunteers to do things like collect donations and run each meeting, and they are called commitments. A commitment can be a great way to meet new people at a meeting, especially if you are someone who is naturally a little shy. Volunteering for a commitment will keep you in the middle of the program, as well as keep you accountable. Many meetings have a high turn-over rate with commitments, so chances are, even if there is no need for help now, there will be a chance for you to contribute in the very near future. Recovery can be a very daunting process, especially in its early stages. If you know someone who has recently gotten sober, offer to accompany them to their first meeting or group therapy session. You can also point them in the direction of literature or Bible verses that have helped you in the past. If the person has not yet entered some kind of a treatment program, help them to research and find a program that suits their individual personality and their recovery needs. Most public libraries have computers that you may be able to lead them to at no cost. Recovery and sobriety are all about reclaiming the stability that was lost when an addict was under the grips of addiction. The nature of addiction is that an addict becomes completely fixated on finding and using drugs. This often places a recovering addict in major financial peril, and it can be difficult to get back on one’s feet after treatment. If you know a recovering addict who is looking for work, consider whether you are at all in a position to help them find a job. Even if you don’t know anyone who is hiring, you may be able to help them find an outfit to wear to an interview or offer advice on putting together a resume. Getting used to living the sober life is all about being a part of the sober community and extending an invite to those who may not be part of the fellowship. Help to put together a BBQ or a sober dance. This is a great way to build fellowship with other recovering addicts and to remind yourself and those around you that you can have a great time without the use of drugs or alcohol. You can plan an event of all sizes!